We apply experience and knowhow in localization to industrial translation. Proofreading and Editing Services for the authors of PhD theses. Provides audio transcription and related outsourced secretarial services. Technology Applications, system software, multimedia, information and telecommunication equipment, etc. Patent specifications (IT, manufacturing techniques, materials, biology, etc. 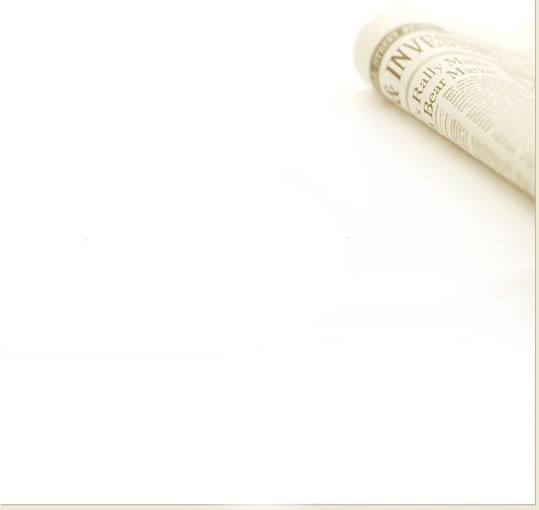 ), intermediate procedures/patent litigation, etc. Accounting, legal work, training texts, e-Learning, standards, IR materials, marketing, etc. Manufacturing techniques, energy, environment, nano-technology, materials, frontier fields, etc. Automobiles, auto parts (engine drive trains, electric components, environment, safety, communications), etc. Medical science, pharmaceutical science, chemistry, biology, bioscience, drug manufacturing, medical equipment, veterinary medicines, agricultural chemicals, etc. Banking, bonds, financial services, nonlife insurance, life insurance, etc. Various types of contracts (license agreements, confidentiality agreements, sales agreements, etc. ), legal proceedings, etc. Engineering Pre-processing and post-processing in localization processes, development and support of tools, etc. Professional Voice-over Services in Over 80 Languages Dubbing is the process of replacing the original speech or dialogue with the translated spoken audio. We provide a free trial translation service to first-time clients.This trial translation is a translation of a part of the source document (around 200 words in length) provided to the client free of charge so that they may confirm that our translations meet their required level of quality. Upon confirming the high level of our translation quality clients can rest assured that you will receive the highest level of translation service with the translator of the trial translation also performing subsequent translations. An instant translation quote in under 30 seconds.100% money back guarantees and more! Find out what you're missing... Leave your translation problems to us today. So you can get back to the business you love. "I've used Chris Translation Service multiple times now, for very time sensitive projects across multiple countries, and have always been very satisfied with their work. No matter how challenging the language we've asked for, they have always met the deadline and I've had had positive feedback from our overseas affiliates every time when asking for a final check. Discovery Networks Europe"
"Chris Translation Service provided our organisation with a highly professional translation service. We were thoroughly satisfied with every aspect of the service and would definitely call upon them again. NHS"
"Excellent, flexible and accessible service. Staff very willing to accommodate needs of each project and facilitate best translation possible. Translators efficient and willing to work with local users. Trustworthy team and translations. 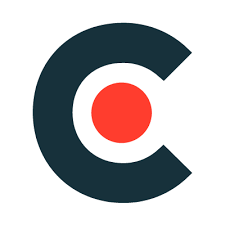 Cardiff University / Prifysgol Caerdydd"
"Chris Translation Service are able to assure experienced translators as well as a solid QA to check the translators. The QA process is why we chose them as well as the ability to source translators in a wide range of countries in emerging markets. Every1Mobile"
"Working with Chris Translation Service is predictably easy. Everything is delivered on time. Regularly we have had emergency projects to complete in a very short space of time to which we have utilised Chris Translation Service and they have always delivered. AXA Assistance"
"Our urgent translation was provided quickly and Chris Translation Service was able to accommodate for our last minute requests. YMCA"
"I just wanted to say thank you for your support on these projects. You have no idea how important it is to me to have suppliers that are efficient, effective, and accurate. It allows me to execute and deliver projects that exceed leadership team expectations. Kryptonite Europe"
"Our main deciding factors for using Chris Translation Service were, customer testimonials in the same sector as ourselves, extra vigilant checking, price and turnaround. I have had a great experience working with the team in particular Alexandra who has gone over an above to help us throughout the whole experience with additional translations and document re-formatting. Thanks to the whole team, great service and great company to work with. Research Donors"
"We met Chris Translation Service at DSEI in 2011 and formed a partnership that has grown over the last few years. Chris Translation Service has translated various technical manuals and marketing materials for our COMINT, EW and ICM solutions. Chris Translation Service not only demonstrated an accurate command of our unique technical jargon, but they also did this securely and to our deadlines. 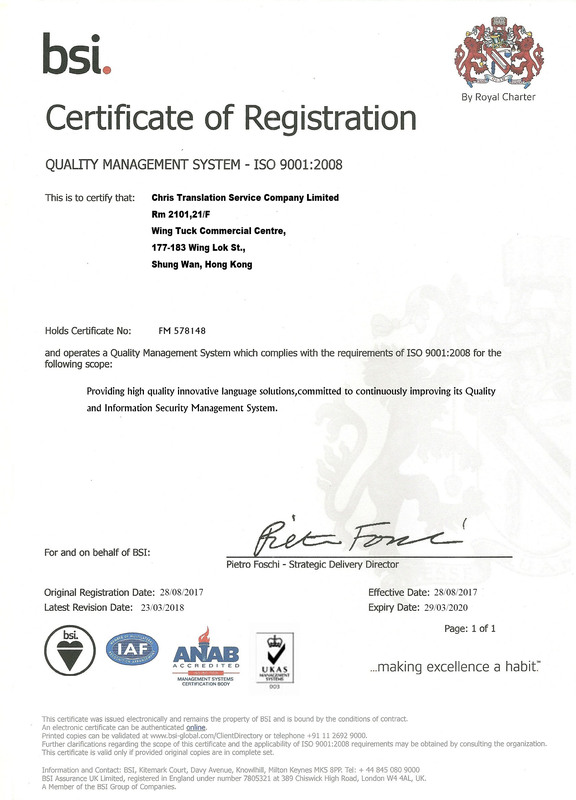 We continue to trust Chris Translation Service as our language partner; they enable us to communicate with our customers in a way that allows us to be fully understood, upholding our reputation and professionalism. PLATH GmbH"
"Chris Translation Service provided Thales with an interpreter for two days at a Defence Exhibition. Their interpreter was knowledgeable, professional and ensured that our Chinese clients were well informed and able to communicate effectively with exhibitors. Many thanks! Thales"
"Communications from Chris Translation Service were prompt, honest and accurate. This in turn allowed Adecco to demonstrate the level of service expected of us from our client. Most importantly our document was translated quickly but without any compromise on quality and at a price that would rival any of your competitors. Thanks again for all your help and I hope we get an opportunity to do business again in the future. Adecco"
"There are other translation companies available that claim to have human-generated transcripts and translations, yet a quick copy and paste into Google translate showed me that they did just that, with no thought on the nuances between different languages. Chris Translation Service ensure that the translation makes sense, no matter what language it is. That's why they have won my business for the future. Lamora Pictures"
"Chris Translation Service offers great customer service. They have helpful, friendly staff (Cydnie has been a great help!) and a professional service. BCB International Ltd."
"Having used other translation companies in the past I was sceptical about the service I would receive from Chris Translation Service. My fears were unfounded and the team at Chris Translation Service have proved to be friendly, professional and above all offer an excellent service. We will continue to use Chris Translation Service for all our translation requirements and I have no hesitation in recommending them to other businesses. Gill"
Our on time and accurate technical translation initially of French to English and after completion of the forms from English to French allowed Aecom to bid on and become successful in a tender process to build an amphitheatre. Chris Translation Service arranged a phone call between the client and the voiceover artist to explain to the artist exactly how they needed the script recorded; the client felt that this gave them the edge they needed for delivering this important message – saving lives is far more important than saving money or time! Hong Kong Police were looking for a translation company that could be relied upon to deliver a professional translation service whilst working to tight deadlines. Chris Translation Service has offered a streamlined translation service whilst delivering an expert level of Hong Kong translation. Chris Translation Service brought together a linguistic team with extensive experience in the security field. Working in partnership with G4S, Chris Translation Service developed a tender translation that communicated the facts accurately, and carried the spirit of the document. Our team applied their talent, commitment and proven ability to perform under pressure to Entap’s requirements. The client’s dealings with their French partner progressed smoothly and the successful acquisition of their first operational plant in France went ahead as planned. The client approached us because they were attending a trade show in Germany, and needed their promotional materials translated into French, German, Italian and Dutch. We advised the client that transcreation would be the most appropriate route. As the documents were highly specialised, we ensured that they were translated by a fully qualified linguist, who also had an expertise and understanding of the industry terms and phrases used by Micro-Macinazione and their clients. Royal Pharmaceutical Society were looking for a language service provider that could offer a quick and accurate translation service at an affordable price. It was also important for them to find a translation provider based in Hong Kong, who understood the nuances of the Traditional Chinese language and culture. Jonathan wanted to develop a business that could deal with Hong Kong to maximize revenues. Not satisfied with targeting the HK market, he knew large volume and broadening his market were key to this. He engaged us to work with him to give the company an international presence. Wow Toys produce battery free toys for the HK market and beyond. They engaged Chris Translation Service as partners in a localisation project for the Hong Kong market. Reference letter from Popovich and Wiles, excerpted as follows: “I am very pleased to share my impressions, experiences, and thorough satisfaction arising from our law firm’s association with Chris Translation Company. Throughout our relationship the entire organization has demonstrated the highest level of ability, professionalism, flexibility and creativity. 300,000 pages were screened by Chris translators, the screening reports reviewed by our attorneys, and full translations ordered and delivered in a little under four months. It should be noted that opposing counsel have not challenged the accuracy of any of the translations. I wanted to thank you and your team for all your help this year. I am pleased to let you know that our company met the deliverable of holding an interim analysis for our renal cell carcinoma study by year end. Please see the press release on our website that was issued on December 22, 2003 if you are interested. We sincerely appreciate all your efforts and commitment to Antigenics. It was truly a team effort and the interim analysis would not have been possible without your help. It was a pleasure working with you and we look forward to working with you in the future. SmithKline Beecham Pharmaceuticals: “I chose Chris to be my sole translation service because they translated a confidential Japanese document to English that another translation service had ‘botched’ and refused to correct. The document contained many important tables and graphs. The ‘non-Chris’ translator did not indicate to which parts of the tables and graphs the English corresponded. We needed the translation for a Food and Drug Administration (FDA) submission. That one translation validated Chris’s reputation. They have translated journal articles, book chapters, curriculum vitae, and confidential internal documents (e.g., patient consent form from English to Chinese). Korean, Japanese, Russian, German, Chinese, Romanian, Hebrew, French, Polish, Greek, Spanish, Italian and Danish into English—as well as English into other languages—are some of the languages Chris has translated. Once again, hats off to Chris Translations! You did an excellent job turning around my presentation slides in a short amount of time in preparation for my trip to Japan. All in all, it was a great job and done very quickly. We have had a relationship with Chris Translation Company for over 10 years and have found the service to be excellent, both in reliability and cost effectiveness. We particularly appreciate their expertise with technical terms and the subtleties of regional language differences. The staff is always open to accommodating specific requirements. I highly recommend Chris Translation. Your entire team earned a big pat on the back! Chris Translation is our easiest vendor to work with and the most pleasant. The quality is excellent. Our web localization project manager has been informed by several Fisher contacts that Chris Translation provides a high quality product with top notch service. FMC Corporation: “On the basis of professionalism, dedication and integrity, I would like to take this opportunity to acknowledge you and your staff for a job well done on the recent Arabic translation of U.S. Government Technical Manuals and training material in support of the FMC Saudi Program. Shelly, I can’t begin to thank you.... Chris Translation is truly my godsend in this Spanish collateral campaign. Thank you for the translated Spanish. The client has passed it on to their agency to read through and they remarked that it was flawless!! I love that. So, good job. Thanks! Congratulations on being published in the ClientSide News. Your article, "When the Divide is Only a River, Not an Ocean" was very informative. Eliza's statement, "You have to allow yourself to get out of your own skin to create the right message for a different audience" really hit home with me. As a counselor, I have to move beyond my own biases in order to be congruent with my clients. Your service-minded attributes (being naturally curious and inclined to think outside the box) demonstrates the quality for which Chris Translation is known. I wanted to thank you for your effort in getting it (Translate 2005) to me as soon as possible. It is a great tool for my translation work as well. I am very impressed with it and it is exactly what I was looking for as far as performance and accuracy are concerned." - Marshall Johnson, Astascadero, CA. "CHRIS TRANSLATION has been a highly-reliable partner for us - quality driven, responsive, and reliable yet still competitively affordable. As a result, we have been able to extend the reach of our services and solutions through our partnership with CHRIS TRANSLATION." "We really enjoyed working with CHRIS TRANSLATION. Not only did they complete the project ahead of schedule, but their team was very dedicated to the quality of their translations making sure they we're appropriate for the culture of our target market." "Bioplate Inc. is a medical device manufacturer with customers in the United States and approximately 30 countries worldwide. We have worked with CHRIS TRANSLATION since 1997 when we held our first international distributor meeting in Los Angeles with the sales and marketing team of our Japanese affiliate. We were extremely fortunate to have hired their interpreter. He provided exceptional assistance interpreting complex medical and surgical information in both English and Japanese. As this was Bioplate Inc.’s first professional meeting with this affiliate, we were very anxious to provide a well-planned and executed program. The meeting proceeded flawlessly and the interpreter’s interpretation skills received many compliments from the bilingual members of the Japanese team. Since that meeting we have worked with CHRIS TRANSLATION on a number of occasions. Bioplate Inc. also utilizes the translation services of CHRIS TRANSLATION. As a medical device manufacturer distributing devices to the European Union, Bioplate Inc. is required to provide instructions for the use of our devices in a number of required languages. We provide the text in English and CHRIS TRANSLATION completes the translation within a short period of time. The translations are then verified by authorized personnel in each country. The often complex translations from CHRIS TRANSLATION are consistently correct. "At Bioplate Inc., we are very pleased with all of the services that CHRIS TRANSLATION provides to us. They offer the convenience of electronic transfer of written materials, making verification activities much more efficient. Scheduling of interpreters for meetings and training sessions is also completed quickly. Quotations for service requests are provided quickly and are very competitive. We highly recommend CHRIS TRANSLATION for translation and interpretation services.” - C.J. “We have had CHRIS TRANSLATION translate our owner's manuals for European customers for the last few years and we have never considered another alternative. They always deliver with consistently high standards of quality, attention to detail, superb service, and timeliness. They keep me informed at every step of the process and never hesitate to ask for clarification in order to provide a better translation. We are impressed that the translators maintain the same style and tone of the original text and are able to translate technical language while keeping it readable and easy to understand.” - A. A. "Your customer service is excellent. You always give us a quote and process our requests in a timely manner. Your quality of work has always been excellent and any specific requests for file formatting or copies have always been met. Turnaround time is always on target and pricing fair for the quality of work that is done.”- G. B. “Los Angeles County is required by federal law to translate election information into six minority languages. This is a complex and involved process that must be accomplished during a short period of time with an even tighter schedule to complete revisions, approve translations and mail the information to the voters. This requires long and tedious hours of dedication and concentration which (your employees) willingly and cheerfully provide. Your company has exceeded our expectations and has been very responsive to requests for additional translation support whenever unanticipated circumstances have occurred. Please accept this letter of commendation and Certificate of Appreciation as a sincere "Thank You" for the cooperation and quality service our department has received from you and your employees from 1993 to present.” - R. G.
“The communication department for Kaiser Permanente's Northwest Region performed an exhaustive search for the combination of services that CHRIS TRANSLATION provides. We found few other companies that could compare, most of which were not even in the Northwest Region. "Kaiser Permanente has long-standing relationships with other translation services that provided some of the expertise and service that had been previously required. This included limited translation of several different languages into the form of letters or simple flyers. We would struggle to find common ground, however, when issues arose around fonts not imbedded or redesign of files. "CHRIS TRANSLATION continues to provide the services and expertise that we need today and for our anticipated needs in the future. CHRIS TRANSLATION uses the same publishing and design software as our internal designers and external printers, making transitions seamless and less time-consuming. They have taken time to personally acknowledge and work through any issues that have come out of the business of publishing materials in different languages. The possibilities for error are almost limitless in this complicated genre of work. It is comforting to know the level of detail and the extent of professionalism CHRIS TRANSLATION consistently performs to ensure not only that the information is accurate, but also that our needs are met. "As Senior Print Buyer/Production Coordinator my experience working with vendors to provide produChris Translation and services is quite extensive. In that time, I've found that the most valuable relationships are formed with those that respond well in adversity. Our adverse experiences with CHRIS TRANSLATION, though they have been few, have provided opportunities for us to learn from them, and for CHRIS TRANSLATION to learn from us. These experiences result in our knowing that CHRIS TRANSLATION considers their business relationships to be a high priority now and in the future. We would recommend CHRIS TRANSLATION to anyone looking to bridge the gaps and barriers between languages, culture, or digital workflow. They are a proven commodity and invaluable resource for our day-to-day work.” - M. B. “I am so thankful for everything you do for us. We deal with so many different countries and languages; I don’t know what I would do without you! Your work is always excellent, reliable and quick and everyone is so friendly! It’s a pleasure doing business with you!” - M. C.
“CHRIS TRANSLATION has provided document translation services to the Maryland State Board of Elections since February 2002. During this time, they have translated and formatted not only our "How to Vote" and voting instruction brochures, but also all of our election materials (in designated counties) for the 2002 Primary and General Elections. Although the majority of this work has been from English to Spanish, CHRIS TRANSLATION has also translated material to Chinese, Korean and Vietnamese. "All work they have performed for the State Board of Elections has been of the highest quality and delivered in a timely manner. 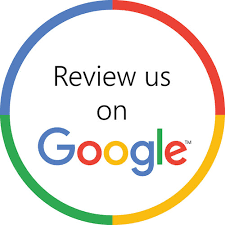 At CHRIS TRANSLATION' recommendation and with their assistance, we have conducted linguistic reviews of CHRIS TRANSLATION' translation work, using members of local community groups and internal Maryland State government employees as our review teams. 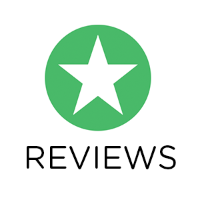 All review teams (Spanish, Chinese, Korean and Vietnamese) have been impressed with the knowledge, professionalism and experience of CHRIS TRANSLATION's staff linguists, not to mention the high quality of their translation work. "Additionally, since we first started utilizing their services more than a year ago, CHRIS TRANSLATION has provided us with a dedicated Project Manager, who has learned about and adapted to the distinct needs and requirements of the Maryland State Board of Elections. We have found all CHRIS TRANSLATION employees with whom we have worked to be very responsive to our needs and more than willing to "go the extra mile" to satisfy our requests. "All in all, the State Board of Elections has been impressed with CHRIS TRANSLATION 's commitment to quality and customer service. We intend to continue using the company for all of our language translation needs and highly recommend their services to anyone who has a need to translate election-related materials into a foreign language.” - J. T.
“Merrill Corporation has been printing sample ballots and ballot material for over 20 years. In 1993 multilingual ballots were added to our contract Chris Translation, and it became essential that we partner with a strong translation company. CHRIS TRANSLATION was that company. Their processes have grown as well as their technical resources to allow them to exceed our expectations. To be successful in the ballot printing industry, time is of the essence but even more so is accuracy. I am confident that CHRIS TRANSLATION offers the best of both.” - L. H.
“Since we have moved a majority of our translation work to CHRIS TRANSLATION, things have improved immensely for us in that area. CHRIS TRANSLATION is very thorough with their work, and always go the extra mile to get us what we need, when we need it. The customer service has been excellent, and the people there are fantastic to work with. I have worked with a number of other translation vendors, and CHRIS TRANSLATION is by far the most organized and efficient company I have encountered. Honestly, I would hate to think of where our company would be if we hadn't established a relationship with CHRIS TRANSLATION.” - H. S.
“Selling product worldwide we need good clean translation for all of our packaging needs and that is what CHRIS TRANSLATION provides us with. With their willingness to work with us in many different file formats and timelines, CHRIS TRANSLATION has always met our needs in a fast, complete, easy to work with manner. We are very thankful that we have a great partner in CHRIS TRANSLATION for all our translation needs.” - K. I. “The State of Washington Department of Licensing produces 465,000 English Driver Guides and approximately 90,000 guides in six foreign languages annually. We have testing questions, a brochure, several posters, and a few forms that are also translated. These product Chris Translation are also available on our website at wwwdol.wa.gov. 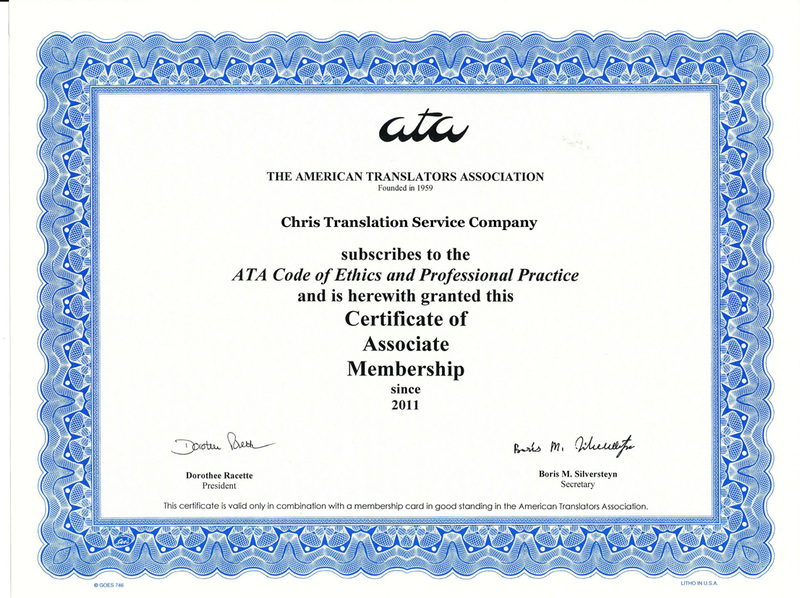 "CHRIS TRANSLATION has been our multilingual provider for over a decade. "Throughout the duration of these projet Chris Translation we have developed strong relationships with the Project Managers assigned to each specific project. The company as a whole is great to work with. They have gone the extra mile to provide quick and accurate turnaround. The company has been very diligent about cost containment as we make yearly changes to the guide. They also excel in their knowledge of the printing requirements and website requirements that go into producing our guides. This greatly facilitates the management of the project from our department. I would certainly recommend CHRIS TRANSLATION for your State's multilingual requirements.” - M. M.
"Thank you so much for all the brilliant (and incredibly fast) work that you do! We’ve used many translation companies over the years but CHRIS TRANSLATION has been the best by far. My manager no longer wants me to get quotes from the other companies as we will now be going to you exclusively--and we have yet another project for you next week. Until then thanks again and have a great day!" - R. T.
“As one of three vendors under contract with the State of Washington Department of Social and Health Services (DSHS) CHRIS TRANSLATION has provided written translation services to various DSHS community service offices and other state agencies sine 1999. During 2004 alone the company translated more than 1150 forms and letters for DSHS offices, primarily into Spanish, Chinese, Korean, Vietnamese and Russian. "CHRIS TRANSLATION has provided my administration with high quality translation work that is delivered in a timely manner. 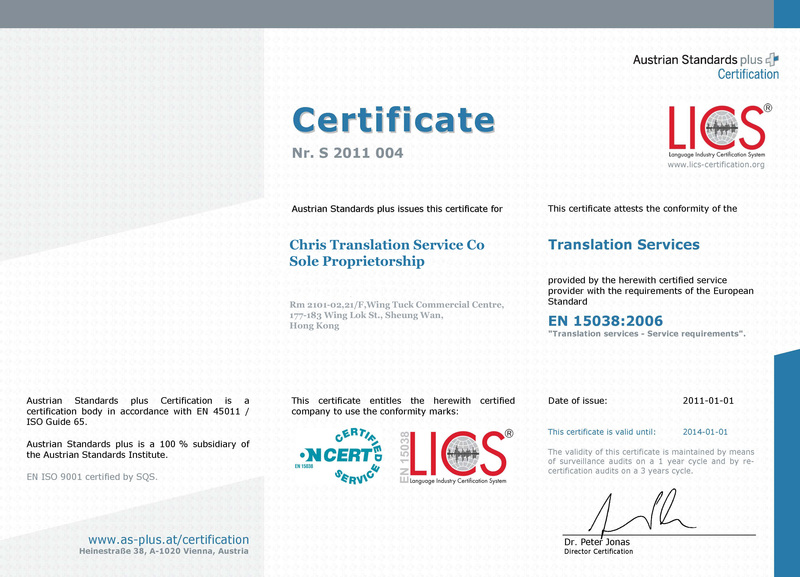 Over the years in which the contract has been in effect, CHRIS TRANSLATION has been a valuable partner and a trusted vendor. Due to the volume of work our offices generate, the company has provided us with two Project Managers dedicated solely to our account. Both Project Managers have managed our account since the inception of the contract, a testament to CHRIS TRANSLATION' ability to attract and retain qualified personnel. We have found all CHRIS TRANSLATION employees with whom we have worked to be very responsive to our needs and more than wiling to 'go the extra mile' to satisfy our requests. 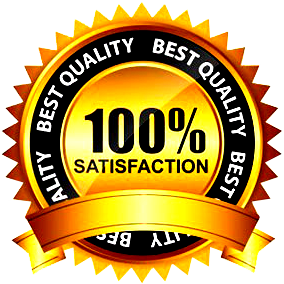 "All in all, we have been impressed with CHRIS TRANSLATION 's commitment to quality and customer service. We highly recommend their services to anyone who has a need to translate materials into a foreign language.” - J. R.
I wanted to let you know that we have been very happy with the speed and quality of work from Chris-Translation "Virginia Gatch, Global Marketing Communications"
My team has been very happy with the translations we have received thus far. A big relief from working with our previous translator. "Meredith Steffen, Marketing and Sales Coordinator"
Thank you for the update and your continued commitment to the success of the project. From my heart, I really appreciate all of the extra effort and your ongoing dedication. "Adam Stewart, VP Engineering"
Chris Translation and their support teams have restored my faith in professionalism and quality assurance. Having just gone through a 14-month, nightmarish experience with another translation vendor, I was very concerned about quality. I chose Chris Translation specifically because of their proven, award-winning, track record in quality assurance. And I must say, they did NOT disappoint me." Cheryl Taylor, CPTC"
Thank you for all the effort and successful translation. It has been a pleasure working with you." Eyal Ben Tov, Group Manager"
The consistent high levels of quality and emphasis on customer service assure that the translations (all 11 of them!) are performed at the same high levels all the time, every time." Sandra Smith Ziv"
As usual the work process was smooth, predictable, and delivered according to your original plans. Interaction was fluid and you took care of all issues that came up immediately. "Mark Levenstein, Team Leader: Content Development"
After eight years using another translation service, we recently switched to Chris Translation for their expertise in the medical device industry. For starters, I was surprised and very pleased with the ease of the transition from our old vendor to Chris Translation and equally impressed with their responsiveness and level of support. We require the translation of collateral materials for both physicians and patients; and it’s important for our translations to accurately convey both clinically complex information and the simpler content and friendlier tone of patient literature. According to input from my in-country reviewers, the quality of our translated materials has greatly improved." Scott Heidemann, Marketing Manager"
The delivery of the translation was perfect. I received it even before the set date. I would like to thank you for your cooperation, your quick help and the very fast translation of the document. Unfortunately we do not have any other documents to translate at the moment, but whenever we are in need of translation services I will contact you again." Tina Swiech Agfa HealthCare GmbH"
It was a great pleasure working with you and thank you and all your colleagues for the great job you did." Xin Gale QFX Software"